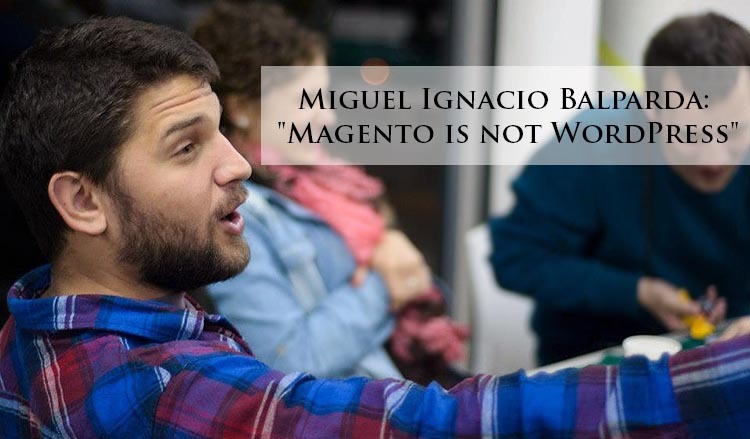 Miguel Ignacio Balparda: "Magento is not WordPress"
Today we would like to present gladly an interview with a cheerful and professional Miguel Ignacio Balparda. As a Magento certified developer, he shared his thoughts and expertise regarding nowadays e-Commerce and the solution in particular. Thus, how has he achieved the current status and what inspires him? How is the digital market in Argentina developing? Let’s discover the answers of enthusiastic specialist right now! Miguel, everyone knows you as rather many-sided and positive person. Tell us, please, a few interesting facts that our readers may not know. Maybe, you have any unusual hobbies or spheres of interest in addition to your passion for development. I travel. A lot. Last two years I have been living in more countries than I can remember. I really love seeing new things, interacting with new cultures and working while travelling. I have been all around Europe, Africa and Asia while developing top level Magento stores. It is really interesting living like a local and not always being a tourist meaning taking trains, shopping in the same supermarkets the locals shop, seeing shows from a country and speaking to people from all around the world to learn from them. What accomplishment in your life are you most proud of? Is there any famous quote or motto that motivates you and helps to achieve more day by day? I am really proud of the way I live. It is not easy to balance life and work, but I think I found a way to do this thanks to my girlfriend. Really important to combine work and personal time and that is extremely complicated to accomplish and at the same time stay responsible and deliver high-quality code on time. Concerning my motto to anyone starting to code Magento, it is "Magento is not WordPress ;)". As to your experience, you are working with Magento over five years and seem to be very inspired with the made contribution for its development. However, let’s start from the very beginning and help our readers to hunt down the question. How has your work on Magento path started? What made you continue focusing on developing for this solution? 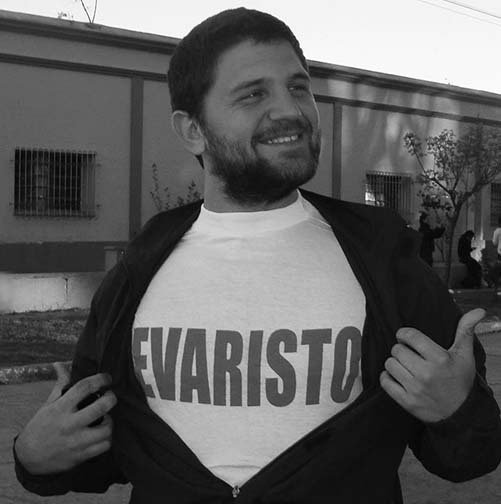 I started in a small company in Rosario, my home city. To be honest. I was not really into Magento at first, since it is really complicated having a pretty big learning curve. 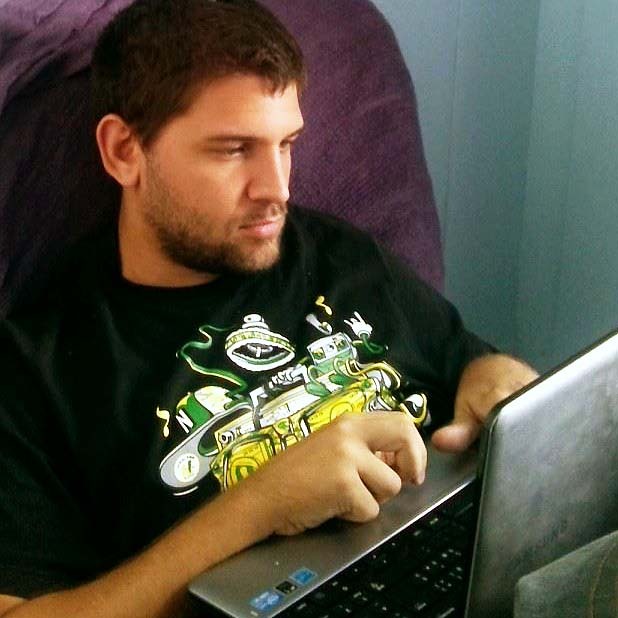 But then I moved to a bigger company and learned to code in accordance to international standards. Actually, that was a moment I started to understand how Magento worked. After that coding is something I love, and because of this fact and the complexity of Magento, I can say the journey has been long, but I enjoyed every second of it. As an e-Commerce enthusiast and certified Magento developer, we are sure you are aware of the most common issues among Magento users. Each and every merchant knows a set of killing advantages provided by this solution. But can you share which problems usually users face and what do you advise to avoid them? Reports. My answer is Reports. Every merchant has a different requirement for reports, taxes and sales. It is complex to make them work as expected or as a customer expects. Not to say that is an area I don’t like in Magento due to the boredom of coding report logic! Regarding e-Commerce in your native country, how is the state of things in Argentina with the digital market? Is Magento so popular on Argentina e-Commerce the way it is in EU and US taking the leadership position? Argentina is growing pretty fast. There are companies doing a great job for the like Santex, trying to improve every day with a pretty amazing team. In here I have a chance to work with one of the best developers in my country, Damian Culotta, from who I read most of the content about Magento in Spanish. That is a big plus since the companies are starting to focus on e-Commerce, and having an excellent team is really important to get a great result. Have you ever dealt with shopping cart migration? If yes, what issues did you face during the procedure and how did you solved them? We would like you to give some recommendations to our users considering the migration from one platform to another. Yes, I did. Once I moved from an old OpenCart platform to Magento, and it was complex until I have found Cart2Cart which made things easier. Since Magento is number one platform on e-Commerce market, it is extremely helpful to have a tool for data migration between systems. Magento 2 is a mystery for me. I tried to contribute to the development, even having a pull requests ready to be merged. However, there was not enough time yet to investigate in detail the new version of the platform. I really think both the dev community and the merchants got a hearing this time, and the solution will be better than it is now. It was Miguel Balparda with his expert’s insight considering Magento and e-Commerce in general. Cart2Cart Team would like to thank this wonderful person for having a chance to know about his life and experience. And if you, dear reader, wish to move to Magento and get all its advantages in a few clicks, register a Cart2Cart account and enjoy!